You’d have thought they had been singing together for years! 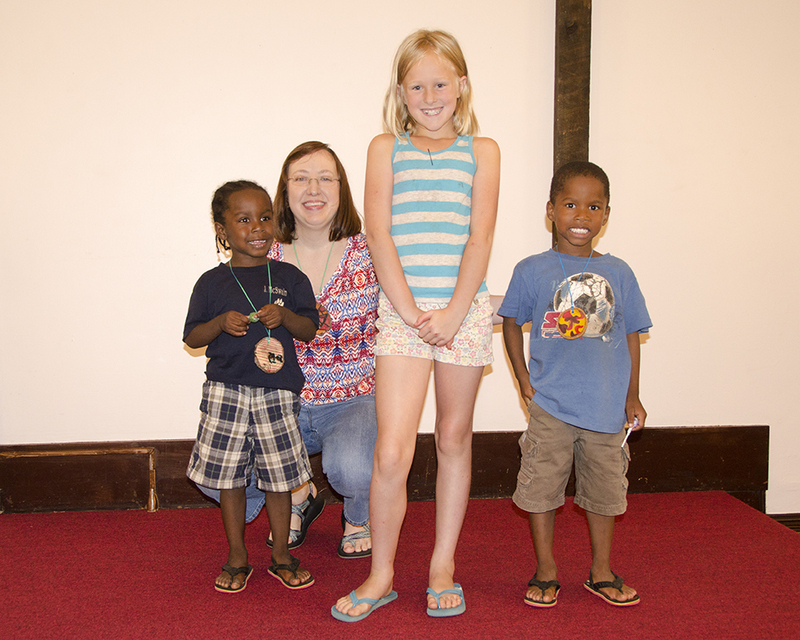 Our new children’s choir made their debut Wednesday with “God Loves a Cheerful Giver” and did a super job! 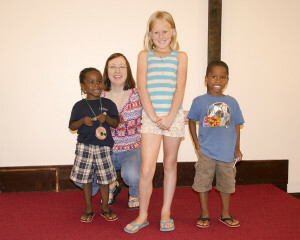 We are proud of you, Jelil, Samora, and T.J., pictured here with director Allison. Not pictured is director Kate. Thanks to all, and we hope you sing again for us soon!